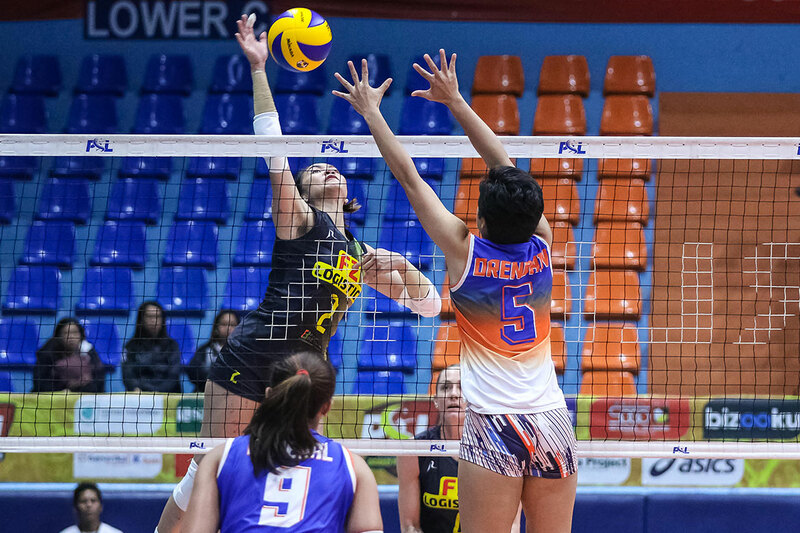 Before their big rivalry match against defending champion Petron, the F2 Logistics Cargo Movers continued to find their way without key players, outlasting the Generika-Ayala Lifesavers, 21-25, 25-19, 25-22, 25-16, their fifth win in the 2019 Philippine Superliga Grand Prix at the FilOil Flying V Centre. The Cargo Movers hit a wall in the first set, allowing Generika-Ayala to take seven consecutive points to erase a 21-18 lead and gain the early edge. Clinging to an 18-17 lead, F2 Logistics got a boost from Ara Galang, who scored back-to-back points that pushed them ahead, 21-17. Galang, Aby Maraño, and Lindsay Stalzer fortified F2 Logistics’ closing offense to tie the match at a set apiece. Both squads battled to a tight conclusion in the third set. Galang gave F2 Logistics a slim 23-21 cushion with a smooth tap down the line. Generika answered with a kill from Kocyigit, but Stalzer took charge again, powering in two hits from the left pin. After taking the third set, F2 Logistics capitalized on the momentum and buried Generika in a 19-10 hole in the fourth frame to seal the win. F2 Logistics were still without starting setter Kim Fajardo, who is recovering from an injured hand. Head coach Ramil De Jesus admitted F2 Logistics are still adjusting to new setter Alex Cabanos. “Nag-adjust lang naman doon sa setter sabi ko sa kanya itong PSL lalo na yung Grand Prix battle of the imports,” De Jesus said. “‘Yung setter namin hindi pa makakuha ng kumpiyansa, although matagal kasi makaabante. Naga-adjust pa talaga. Yung huli sabi ko, taas mo lang kung ano yung nakikita mong advantage ibigay mo. Yun lang naman ang sabi ko,” he added. Stalzer powered F2 Logistics’ offense with 26 points from 21 attacks, three blocks, and two aces. Meanwhile, Maraño added 14 points off six attacks, four blocks, and four aces. Captain Angeli Araneta led the Lifesavers with 14 points, while Thai import Kanjana Kuthaisong managed 14. F2 Logistics (5-0) next take on the defending champions Petron Blaze Spikers (5-0). Meanwhile, Generika-Ayala (0-6) seek their first win against the Foton Blue Energy Tornadoes (1-5) on Thursday at the FilOil Flying V Centre.